Investigative reporters Dr. Steven J. Allen and Matthew Vadum discuss the worst stories in government and politics from the past week. 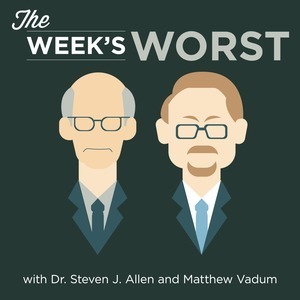 The Capital Research Center's Dr. Steven J. Allen and Matthew Vadum discuss the worst stories in government and politics from the past week. Allen and Vadum give their unique, hard-hitting, investigative analysis of these stories to tell you the truth amid the media's distortions.